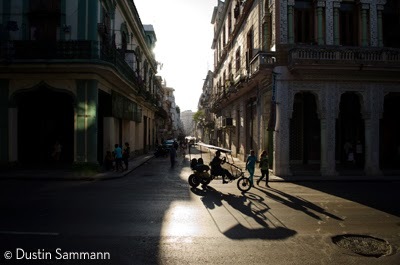 Dustin Sammann is a key member of the Santa Fe Photographic Workshops Cuba Cultural Exchange Program. He is fluent in Spanish and, having traveled to Cuba multiple times, he has an intimate understanding and love for the people and culture of Cuba. Here he shares his thoughts and impressions of the country he has grown to love. What are some of your favorite moments from your trips to Cuba? Has Cuba changed your work? Before I started spending so much time in Cuba I worked in the studio a lot. But now, having access to such a beautiful and complex world, I do much more documentary and street photography. There’s just so much to see and experience. Also, most Cuban photographers do street and documentary work as there's virtually no commercial work available. 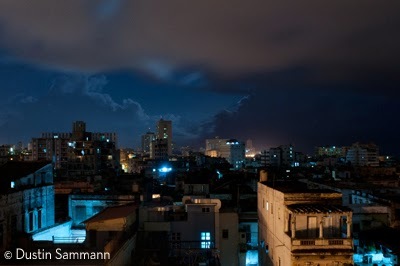 Working with Cuban photographers—they really are world-class amazing—that’s improved my work a lot. Cuba is such a unique kaleidoscope. Every architectural style is available in Havana. Also, the people are incredibly open, and you can make great portraits. I’ve never been to a country where people are so open to having their picture taken. Much more than other countries in Latin America. There is a whole level of comfort and openness there. What are your impressions of the Cuban people? They’re a really open people, without all the physical and psychological boundaries we have. It’s really refreshing and I think it’s a result of a mix of things. Being isolated from the West for so long, and also just the way the Cuban people are. Tourism didn’t really exist in Cuba until the late 90’s, so it’s a very new phenomenon there. So you see Cuba changing? Cuba is changing quickly. You can see industry coming, the commercial world. I think it’s inevitable. I don’t know when it started, but in the last few years you can see it taking root. How have you seen people in your Cultural Exchange Program groups react to the experience of Cuba? Great question. What I see is what happened to me when I first went there: Cuba is so visually stimulating and at first you’re totally overwhelmed. It’s fresh and strange and yet familiar at the same time. At first participants photograph everything, they want to capture it all, then they start to work with the rhythm of Cuba. And when they get that rhythm, their work really starts succeeding. It’s only a week, but it’s enough access that Cuba won’t leave you alone. In the best possible way I see folks having far more questions when they leave Cuba than they had when they arrived.